We had a great Easter! We started off our Easter celebrations by heading over to the Mesa LDS Temple Easter Pageant. This has become a tradition of sorts for our family. I loved having Sam sit on my lap and ask me lots of questions about what was happening during the pageant. He wanted to make sure that they weren't going to really nail the actor playing Christ to the cross! Both kids also had many doctrinal questions which kept me on my toes until Sam headed over to Josh's lap and quickly fell asleep! I guess it was good but not that good! We had a visit from the Easter bunny as well! The Easter Bunny sure does know these kids! Haha! They seemed happy with their baskets...except for Sadie who said that she hates 'Hello Kitty' and wasn't happy that she had received a very large 'Hello Kitty' activity book. Oh well, you can't win them all! Traditional Easter fare was followed by a family bike ride in which we went to deliver some orange rolls (which were pretty darn good if I do say so myself!) to a family and then ended up staying there for a while...that is as far as we got! It was more of a visit with friends! All in all it was a fantastic Easter! We are so grateful for the gospel in our lives. We know that our Savior lives. 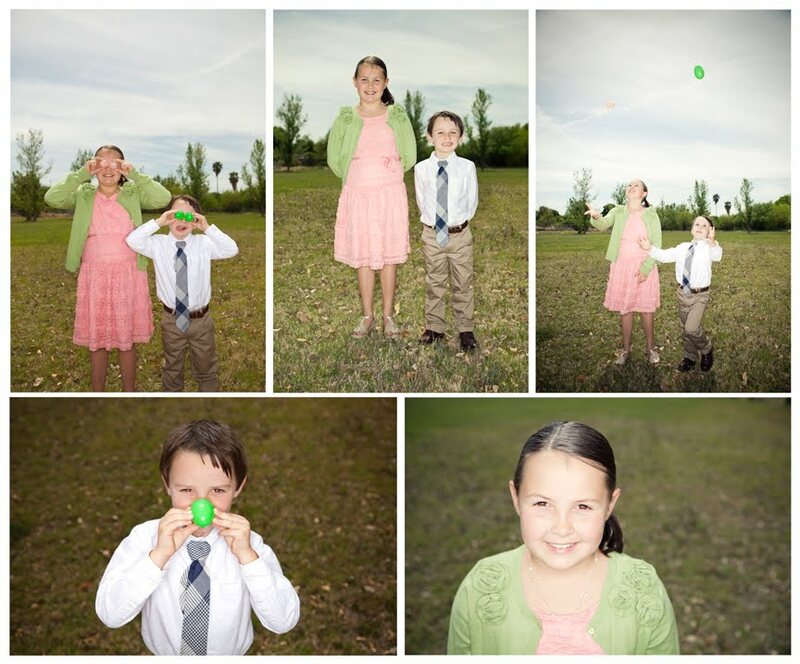 As Sadie and Sam said when getting into bed, "Easter is really the most important holiday!"